About - St. Stan's Brewing Co.
After six long years of persistence, we have finally purchased the great St Stan’s. We have signed contracts and our intent is to start brewing as soon as possible. For those of you not so familiar with St Stan’s here is a little history for you. The idea was conceived in the early 70’s, the name derived from many possible sources, our two favorites are Chief Estanislao, a “Rebellious Indian Warrior who defended his people” and St Stanislaw “a Rebellious Bishop who excommunicated a King”. 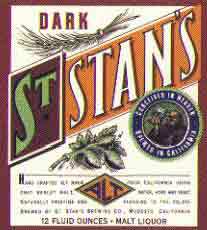 St Stan’s was the 7th Micro Brewery established in the US. Before it, came Anchor Brewing Co (1965), New Albion (1976), Sierra Nevada (1980), Red Hook (1981), Mendocino Brewing Co (1983), St Stan’s (1984) Pete’s Wicked Ale (1984) Widmer Brothers (1984) and a slew of others. St. Stan's was not only the first to make a traditional Altbier in the United States but the first ever to make one outside of Germany. 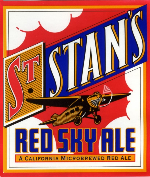 St. Stan's was a leader in the then-new microbrew industry of the 1980's and a major player in the craft brew segment with distribution ultimately reaching into 17 states and 7 countries. 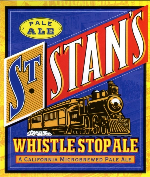 In the mid- 90’s St Stan’s was seeing tremendous growth, leading its category and even having “the beer hunter” place it on his 100 beers to try before you die. As craft beer was exploding, big beer was taking notice. The “King of Beers” in particular noticed, and began acquiring minority ownership in key regional craft brewers ie. Red Hook and Widmer. Many resisted the “King”, falling out of favor or out of distribution, as history goes so did St Stan’s. In the days, weeks and months ahead we plan on restoring the greatest attributes of St Stan’s, reviving your fondest memories We envision turning the brewery into a gathering place of yesterday, with bier gardens, bocce ball courts and the smell of hops.. Part of our vision is to create more artisanal beers, partnering with our local farmers for fresh ingredients and to reconnect with our roots, our people our sense of community. If you recall the good old days when you could drink St Stan’s anytime anywhere. We're looking for your help, your vision, your stories and most of all your interest. Help us bring back yesterday, for the new yesterday is tomorrow. So, if you are interested in craft beers, made in your community, please contact us.